I didn't expect this one to require two episodes, but he's got a lot to say. And it's all worth hearing. I covered IU's basketball team for the student newspaper as a senior, when he was a freshman. I even sat next to him on the team plane for a trip to Iowa. We didn't talk. I was focused on keeping out of trouble and he surely had no interest in the reporter he had barely met. 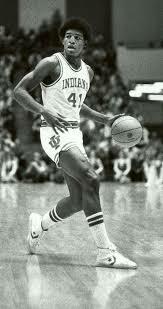 IU lost that game in 1977, by the way. Knight screamed at the team most of the way home. Carter had a successful career at IU, hitting the game-winning shot in the 1979 NIT championship among other things, but he wasn't all-in for Knight. He understood and appreciated the benefits of playing at IU, but was too proud and too smart to accept everything that went with playing for Knight. His honesty about his experience at IU is refreshing, really. 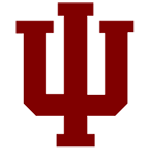 Many other former IU players feel the same way, but are reluctant to speak publicly. And this isn't saying Carter doesn't have positive feelings about it, too. He had an unusual NBA career, playing a season for the Lakers, three with the Pacers, one for the Knicks and then a few games for Philadelphia. He set an NBA record that lasted 20 years by scoring 14 points in an overtime victory for the Pacers over Boston, and scored 42 points for them twice. He was a physical 6-5 guard, and a great shooter, too. He was the first guard to lead the Big Ten in field goal percentage, and hit 50 percent from the field in his final season with the Pacers. He was a successful coach, too, first at his high school alma mater, Middletown, Ohio. He took over a losing program and guided it to an 18-3 record, and was named the state's Coach of the Year – which book-ended the Player of the Year award he had won, too. He worked his way up as a college and NBA assistant, and then took over the Toronto Raptors. He became the first coach in Raptors history to finish with a winning record and earn a playoff berth in the 1999-2000 season, but that was his last. “Stubborn Butch,” as he refers to himself here, butted heads with management and was let go. He's still bitter over the way it was handled, and has said so in interviews with a Toronto newspaper. He's stayed in Canada because he's happily married, and has been successful in business. He'd love to coach again, but isn't desperate. It seems he had the talent as a player and coach to accomplish more, but he's accomplished plenty. And while it seems unlikely, he'd be a great hire for some college or pro team to coach again. From this telephone conversation you can tell he knows his business. He seems a natural leader, too. Younger brother Cris' tribute to him at Cris' Pro Football Hall of Fame induction serves as an example.